A beautiful gift, this is a children's animal encyclopedia with a twist. Alongside interesting facts are the stories and myths behind children's favourite animals as well as incredible pictures and stunning illustrations. Containing more than 100 species, this beautiful modern be... read full description below. A beautiful gift, this is a children's animal encyclopedia with a twist. Alongside interesting facts are the stories and myths behind children's favourite animals as well as incredible pictures and stunning illustrations. Containing more than 100 species, this beautiful modern bestiary will take children through the animal kingdom from the huge whale to the tiny spider. Discover how the koala got its name or which animal the Ancient Egyptians thought rolled the Sun across the sky. Each page features fun animal facts and detailed close-up photographs for children to pore over, including firm favourites such as dolphins, tigers and butterflies as well more unusual animals such as walrus, lemur and peacock. 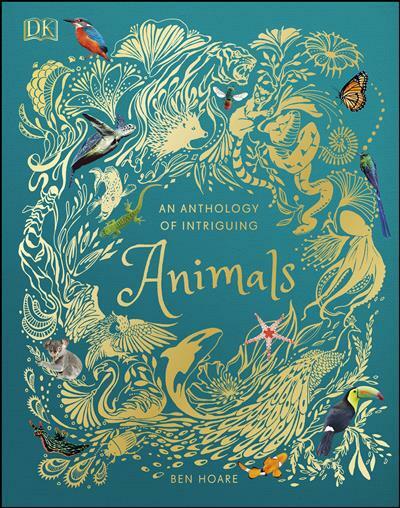 A perfect gift for children who can't get enough of animals, wildlife and nature, An Anthology of Intriguing Animals covers animals big and small and feathered and furred and will be a treasured favourite book.